Careful With That Axe, Eugene: Can you ever leave Carnew? I grew up in Ballingate just three miles from Carnew in Co Wicklow, and attended the National School until I was almost 12 years of age when I was sent off to boarding school, followed by moving to College in Dublin in 1979 and living there since. Despite the 44 years that have passed since leaving National School I often answer "Carnew" when people ask me where I am from. I guess that comes from a sense of roots and that my Mum and Dad still live there. Two nights in a row out in Carnew is a rarity for me (one night in a row is rare too!). 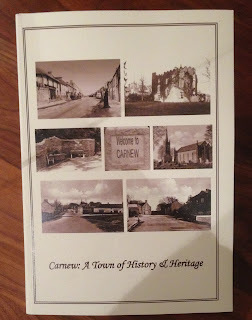 Last evening we had a great meal in Pooles Restaurant on the Mill Lane, but the evening before Dad and I attended the launch of Noelle Keogh's book: "Carnew: A Town of History & Heritage". It was the first time I was ever in Kenny's Corner House at the "top of the town". The launch marked the start of Carnew Heritage Weekend. Just over two years ago I wrote about attending an exhibition in Coláiste Bríde in Carnew for the then Carnew Heritage Week events. 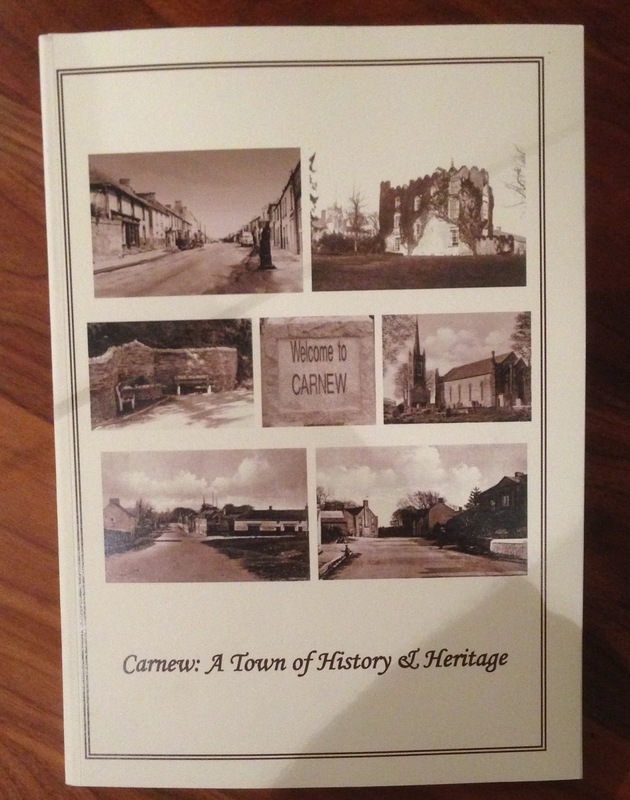 Much of the fascinating facts and anecdotes about Carnew and its surrounding townlands was collated by Noelle Keogh, and her new book reflects the fruits of her efforts on behalf of Carnew Heritage Club. I spent most of yesterday reading the book and enjoying the stories of times past. The photos are a great reminder that Carnew has always had activities like slate quarrying that are now gone - but not forgotten. I particularly enjoyed the references to my grandfather PJ O'Loughlin for his auctioneering, GAA, ploughing, and dairy activities. I also enjoyed meeting people in Kenny's that I had not met for a very long time - I think my Carnew accent returned too for the evening! You can take the man out of Carnew, but you can't take Carnew out of the man. My Dad Joe with author Noelle Keogh. Image source: The Enniscorthy Guardian.